and take advantage of the best tasting water, EVER! to our clients who drink our water. installation, repair and maintenance of water coolers, water fountains and filtration systems. Environmentalist before his time, he has realized, for a long time, we can drink pure and affordable water with a positive environmental impact. 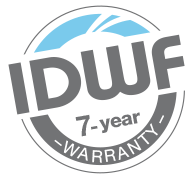 All equipment sold or leased by IDWF comes with substantial benefits that distinguish the company from its competitors.